It's time for Charlie Chan's annual physical in a scene from Charlie Chan at the Olympics (1937). "Hasty accusation like long shot on horse race - odds good, but chance is doubtful." WEEKLY CHAT/FILM VIEWING: Please join us as we view Charlie Chan at the Opera starring Warner Oland. Join with us as we discuss this film LIVE, watching it together via video tape or DVD! Earl Derr Biggers, the creator of Charlie Chan, dies of a heart attack in Pasadena, California, on this day in 1933. George Kuwa, who would portray Charlie Chan in The House Without a Key (1925), is born in Japan, on this day in 1885. WEEKLY CHAT/FILM VIEWING: Please join us as we view Charlie Chan at the Olympics starring Warner Oland. Join with us as we discuss this film LIVE, watching it together via video tape or DVD! WEEKLY CHAT/FILM VIEWING: Please join us as we view Charlie Chan on Broadway starring Warner Oland. Join with us as we discuss this film LIVE, watching it together via video tape or DVD! Peter Ustinov, who would portray Charlie Chan in the comedy/mystery Charlie Chan and the Curse of the Dragon Queen, is born in London, England, on this day in 1921. 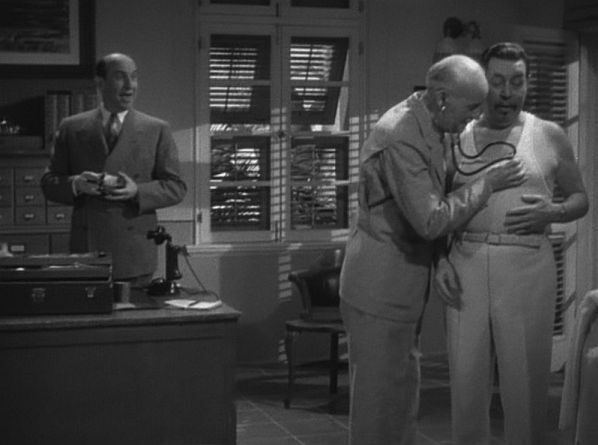 WEEKLY CHAT/FILM VIEWING: Please join us as we view Charlie Chan at Monte Carlo starring Warner Oland. Join with us as we discuss this film LIVE, watching it together via video tape or DVD! Sidney Toler, who would portray Charlie Chan in twenty-two films, is born in Warrensburg, Missouri, on this day in 1874. WEEKLY CHAT/FILM VIEWING: Please join us as we view Mr. Moto's Gamble starring Peter Lorre and featuring Keye Luke as Lee Chan in the retooled film that was to have been Charlie Chan at the Ringside starring Warner Oland. Join with us as we discuss this film LIVE, watching it together via video tape or DVD!